Trinity Laban Conservatoire of Music and Dance wishes to recruit a new Director of Dance at a particularly exciting and significant time for the world-renowned conservatoire. Trinity Laban is one of the UK's largest conservatoires and the only one which combines the disciplines of music and contemporary dance. Trinity Laban Conservatoire of Music and Dance is a forward thinking, contemporary and world-class institution with a vision to redefine the conservatoire for the 21st century. At the leading edge of music and dance training, it provides specialist education of the highest quality which reflects the increasingly collaborative world of artistic practice. By choosing to develop your career at Trinity Laban, you will join at team of artists, teachers and professionals united in its commitment to fulfil our aim to advance the art forms of music and dance and develop the artistic leaders of the future. You will work alongside some of the best in their fields in world-class facilities. SearchHigher has been exclusively retained by the Trinity Laban Conservatoire of Music and Dance as the executive search firm for this appointment and welcome your application and enquiries. Closing date for all applications: 12 noon on Monday 2nd July 2018. Trinity Laban Conservatoire of Music and Dance wishes to recruit a new Director of Dance at a particularly exciting and significant time for the world-renowned conservatoire. Trinity Laban is one of the UK’s largest conservatoires and the only one which combines the disciplines of music and contemporary dance. Situated in the Stirling Prize-winning Laban Building in Deptford, South East London and the nearby Old Royal Naval College in Greenwich, Trinity Laban is a leader in the education of professional dance, music and musical theatre artists. A forward thinking and outstanding Higher Education Institution, our purpose is to advance the art forms of music and contemporary dance, seeking new means of artistic education and expression, embracing innovation, experimentation and excellence and bringing together talented performers and creators to train, perform, collaborate and research in inspiring spaces. In the fast-changing world of higher education, the post of Director of Dance at Trinity Laban is a hugely significant role in UK performing arts education. Building on Trinity Laban’s already well-established artistic and educational profile, the new Director of Dance will make a significant contribution to our continuing mission to redefine the future of dance education and training in the UK. The role represents an exciting opportunity to maximise creative influence and innovative leadership and will suit an ambitious, versatile and talented individual with a well-established professional profile and extensive networks in the dance world. Proven interest and experience across our Faculty of Dance’s distinctive portfolio, together with experience of leading effective change and promoting and encouraging organisational innovation, are all essential for this role. 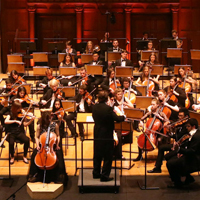 The ideal candidate will have extensive knowledge and experience of conservatoire training and a track record of achievement and experience in successfully leading large teams and managing budgets at a senior level within a significant cultural or academic organisation. A persuasive communicator with an ability to influence by collaboration, authority and personality, our new Director of Dance will inspire, engage and motivate through high levels of personal gravitas and integrity, joining the Trinity Laban Executive team in steering the Conservatoire to ever greater achievements as we take forward our ambitious aims. Trinity Laban Conservatoire of Music and Dance is the UK’s only conservatoire of music and contemporary dance. The unequalled expertise and experience of its staff, and its world class facilities housed in landmark buildings, put Trinity Laban at the forefront of vocational training in music and dance. Trinity Laban has a long and illustrious history. Trinity College of Music was founded in 1872 and was housed near the Wigmore Hall in Central London for more than 100 years, while Laban was first established in 1948 as The Art of Movement Studio, under the leadership of dance artist Rudolf Laban. 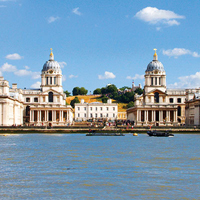 Trinity College of Music relocated to Greenwich in 2001, and in 2002 the Laban Centre moved to Deptford. The location of two leading institutions within close proximity in South East London, together with shared ambitions for innovations in music and contemporary dance, led to a merger in 2005 to form Trinity Laban Conservatoire of Music and Dance. King Charles Court, home to the Faculty of Music, forms part of the Maritime Greenwich World Heritage Site. In 2001, this historic building was transformed to provide outstanding music conservatoire facilities, creating over 100 practice and recital rooms, excellent music technology facilities including a recording studio and space for the award-winning Jerwood Library of the Performing Arts and its vast collection of musical scores, books and other materials. The Laban Building in Deptford Creekside, which houses the Faculty of Dance, is an architectural masterpiece sited within an area of urban renewal. Its state-of-the-art facilities include 13 dance studios, a 300-seat theatre, the largest open access specialist dance library collection in the UK, and a dance health suite. 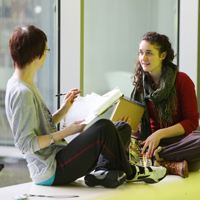 Trinity Laban Conservatoire of Music and Dance has nurtured significant research in recent years, playing major roles in the commissioning and performance of new works and pioneering the development of innovative pedagogical approaches. The institution places an important emphasis on the exchange of knowledge and on public engagement activity, interaction with local communities, national and international business partners, as well as many members of the music and dance professions. 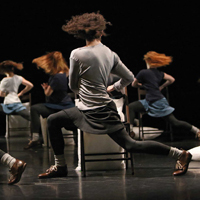 Trinity Laban is particularly renowned for its Dance Science Department, who are known internationally as leaders in this specialised field; the institution was the first in the world to offer an MSc in Dance Science. 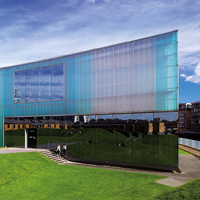 Trinity Laban is a unique institution to work for, where the best of historical practice is combined with a determination to be at the forefront of 21st century performing arts. The conservatoire is a hive of activity with constant performances and sharings to attend. In fact, it’s very hard to get through a day at without stumbling upon a dance rehearsal in the Laban building, or hearing music emanating from the rehearsal rooms at King Charles Court. 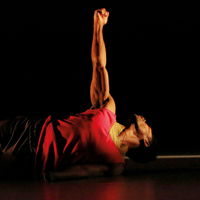 Trinity Laban is staffed by people who are passionate about music and dance. It is this shared passion that allows staff members to contribute in all areas of the organisation and feel part of something important and innovative within the creative industries. People at Trinity Laban are very friendly and you get lots of smiles and 'hellos' as you walk around. 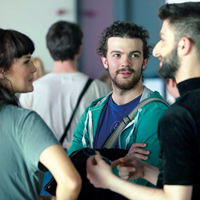 New members of staff are each invited to attend 'An Introduction to Trinity Laban' induction with our Principal as well as informal inductions with their line manager and department. It does not take long to feel part of the Trinity Laban family. as the executive search firm for this appointment. Closing date for all applications, Monday 2nd July 2018. Interviews will be held in London during the week commencing 16th July 2018. Trinity Laban Conservatoire of Music and Dance is committed to equal opportunities and diversity. All our taught programmes are validated by Trinity Laban Conservatoire of Music and Dance. 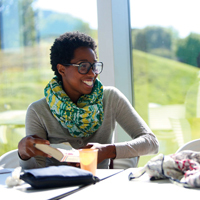 Research degrees are validated by City University, London. Trinity Laban Conservatoire of Music and Dance is a company limited by guarantee registered in England and Wales Company No. 51090. Registered Charity No. 309998.